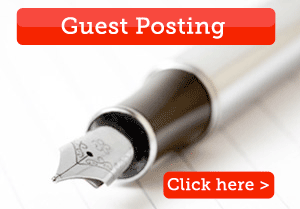 Working from home or hate standing in snaking queues to get a few pages copied? 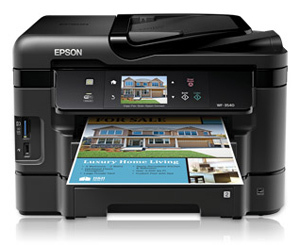 Either way, an all-in-one printer that effectively combines a multiple cartridge printer, scanner and copier into one is a ubiquitous appliance. Not only can you effectively manage your paperwork with few costs, an all-in-one printer is also useful for reproducing photographs and helping out your child’s school project all at home. We had a look at a few printers for their functionality, efficiency and design and finally decided upon these two as the best options you can choose for home use. WorkForce WF-3540 from Epson has an array of handy features not just for you but for all your family members to easily use the printer. It has an easy to use touch screen interface with gesture-control with customizable sensitivity. The automatic document feeder can be loaded from the top and can also be used for double sided printing using a built-in duplexer. The printer has dual paper input trays. Not only paper, the back flip of WF-3540 also has a single sheet manual feed tray which lets you print on unusual surfaces such as thick card stock and envelopes. Printer ink and cartridges are going to cost you much lesser in terms of time, effort and money now with Epson WorkForce WF-3540. It has the option of installing extra large capacity ink cartridges and is equipped with separate ink tanks for cyan, yellow, magenta and black. Ink can also be refilled affordably. Print not only from a single USB connected system but also through cloud printing, external USB devices and Wi-fi. Though bulky enough to require plenty of space in your home, the number of features it crams into its 17.7×22.2” frame is overwhelming. The scanner lid locks up into a vertical position and prevents it from falling. The software included with WF-3540 allows you to independently operate the scanner from the printer. You can choose from PC, PDF and e-mail delivery options. You do not have to stand for hours near the printer to get your printing project finished. When printing text Epson WorkForce WF-3540 bags the highest speed at 12.98 pages per minute. It fares among the highest in print speed for all kinds of printing jobs. The quality of print of black text is comparable to that of crisp laser printers, even when small sizes were used. Full-color graphics and presentations are also of top quality, making it difficult to distinguish its quality from that of a laser printer. There are no unpleasantly loud sounds accompanying this printer. Its sound is as low as a whisper. Epson offers a limited one-year warranty with toll-free customer support on all weekdays from 6 a.m. to 6 p.m. with the WorkForce WF-2540. Full support can be obtained online in the form of a troubleshooting guide, FAQs, e-mail, driver updates and document downloads. Good: Starting from the touch screen interface, dual feed trays, cloud printing options, external USB, print performance to various print, scanning and copying options Epson WorkForce WF-2540 has tons of good utilities for your home. Bad: Its bulk and the immovability of the interface screen which limits its positioning at home. Verdict: For the enormous utility that Epson WorkForce WF-2540 offers, you better clear it up a space of its own in your home. HP Officejet Pro 8600 e-All-in-One Printer – N911a is an extremely resourceful printer ideal for home offices and for taking on immense work load. It has a touch screen interface which comes in different sizes. The quality of print in both black text and full-color graphics are very good and comparable to that of laser printers. In addition to the typical slew of printing, scanning and copying, HP Officejet Pro 8600 e-All-in-One Printer – N911a also offers light photo edits, ePrint and fax functions. ePrint technology from HP allows you to send print jobs from practically any connected device using a unique e-mail id. Not only regular print jobs, this device also comes with an ‘apps’ option. You can directly access and print new pages from Financial Times, Reuters, Nickelodeon, Disney, Yahoo etc. The scanner has a 4,800-dpi resolution so scanned and copied documents look crisp and sharp. You can send scans to a PC, memory card, network folder or to e-mail. It also includes cloud printing and lets you directly connect to an iOS device using AirPrint feature. This feature can be used to print out a photo from the photo library directly, but the properties cannot be adjusted before print. With an 11.8×19.4” frame, it can compactly fit into a suitable location in your home. You can connect it not only using a USB, but also through Wi-fi or Ethernet. Indented handles in its sides make it the perfect printer for someone who is regularly changing homes. It has a 50-page automated document feeder on the top. Only the Pro model is equipped for auto-duplexing, that is, two-side print. Its paper input tray has a 250 page capacity. Unlike the WF-2540, it does not have a manual paper feeder which makes it difficult for you to print on irregular media. 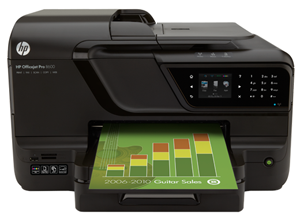 Its print performance and speed are only slightly lower than the WF-2540, making it a close call. Good: The best features in HP Officejet Pro 8600 e-All-in-One Printer – N911a that stand out apart from its multi-functionality would be its ‘apps’ feature, ePrint technology and iOS printing options along with the ability to print from various newtworks. Bad: Auto-duplexing is not functional for scanning two-sided original documents. Moreover, it does not allow you to print on irregular media easily. Verdict: For most home-office purposes and unless there is a tremendous amount of paperwork, HP Officejet Pro 8600 e-All-in-One Printer – N911a is a good, efficient and compact workhorse. Both HP Officejet Pro 8600 e-All-in-One Printer – N911a and WorkForce WF-3540 share most of the necessary features for home based all-in-one printers. We would recommend WorkForce WF-3540 for home offices and HP Officejet Pro 8600 for general home use. The latter is available in several different models with varying sizes without compromising on the basic functionality of the device so one can buy an appropriate model to suit one’s home.